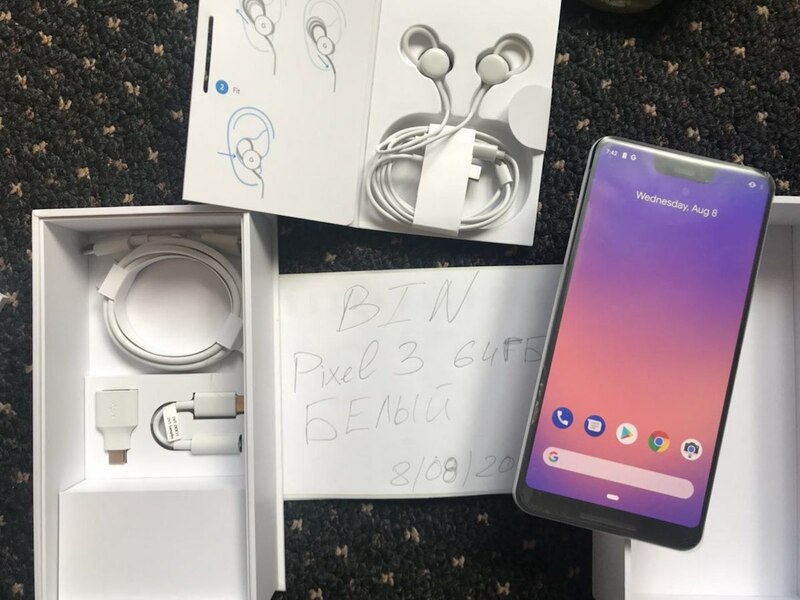 Although Google’s major fall event is still about two months away, typically occurring in October and ushering in a new generation of Pixel smartphones and other products, today leaked pictures have been shared online highlighting the upcoming Google Pixel 3 XL. 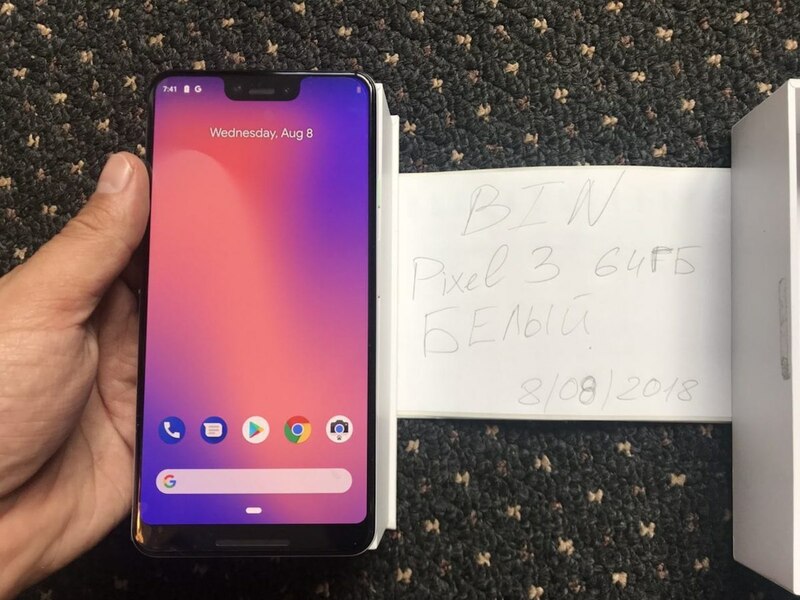 The images depict an alleged “pre-release” final production unit of the Pixel 3 XL smartphone, sourced from a Russian tech blogger (via Android Police). Images showcase the rear and front of the device, with an iPhone X-like notch at the top of the Pixel 3 XL’s display that’s not as wide as Apple’s, but is noticeably taller. Previous CAD leaks suggest that a smaller 5.4-inch Pixel 3 will not have a notch, while the larger 6.2-inch Pixel 3 XL is what appears in the images today, notch included. It’s believed that Google is using the notch to house improved cameras, including two camera lenses. The bigger Pixel will include two camera lenses on the front of the phone inside of the notch, one of the people said. Additionally, the images suggest that customers will get “Pixel Bud-esque” wired USB-C earphones with the Pixel 3 XL. There also appears to be a charging brick, charging cable, and a USB-C to 3.5mm adapter in the box. The unboxing images depict “what looks to be a pretty new iPhone-like wallpaper,” as Android Police points out. Software running on the units was Android 9 with an 8-core Qualcomm processor and an Adreno 630 GPU. The Pixel 3 XL in the images also has 4GB of RAM and a resolution of 1440×2960 with a pixel density of 494 PPI. Following the release of the iPhone X in November 2017, clones of Apple’s notch style hardware began surfacing in December and throughout 2018. In March, Google announced Android P, which introduced software support for display notches that are built into the Android smartphones mimicking Apple’s design. For Apple, the company decided on the notch-style design in order to maximize the available display area of the iPhone X, while also still leaving room for the various sensors and tech that make up the TrueDepth camera system for Face ID. Although Android smartphones are copying Apple’s design, many of them lack the front-facing biometric security features as the iPhone X and instead opt for fingerprint scanners. Following the release of 2018 MacBook Pro models last month, some customers have turned to the MacRumors Forums, Apple Support Communities, Reddit, and YouTube to report intermittent crackling from the built-in speakers. The crackling appears to occur spontaneously during audio playback on both 13-inch and 15-inch models, based on a handful of videos shared by customers. As with many crowdsourced issues, there are a lot of variables involved, making it difficult to pinpoint exactly what may be causing the problem. Some customers appear to experience the issue while playing music in iTunes, while others are affected when using GarageBand, or playing a YouTube video. Some users also hear the crackling when running Windows via Boot Camp. It’s unclear if the crackling is limited to specific volumes or frequencies. MacRumors forum members have speculated about possible causes, including radio interference due to a lack of shielding, audio drivers, and the T2 chip. A few years ago, some customers experienced similar crackling from the built-in speakers on the 2016 MacBook Pro, oftentimes when running Windows via Boot Camp. The crackling was so loud that it often permanently damaged the speakers, resulting in the MacBook Pro needing to be repaired or replaced. If you installed Windows 10 using Boot Camp Assistant before November 25, 2016 on a MacBook Pro introduced in October 2016, it’s important that you install the Audio Driver Update for Boot Camp using Apple Software Update for Windows to avoid issues with your speakers. The speaker issues with the 2018 MacBook Pro don’t appear to be as dire, or nearly as widespread, but enough complaints have surfaced that we wanted to bring some attention to the matter in the interest of those affected. At least one user claims the issue may have been fixed in the latest macOS Mojave betas, which is unconfirmed. Another user claimed that Apple engineers are looking into the matter. Apple did not respond to a request for comment. Of course, in a production run of millions of new MacBook Pro units, a small percentage may have defective speakers, but this does appear to be an actual issue that hopefully can be or has been addressed in a future software update. If you are affected by this issue, we recommend contacting Apple Support. In the meantime, some users have shared potential workarounds, such as resetting the System Management Controller and NVRAM, disabling Hey Siri, or simply rebooting, but these solutions may not be ideal or work for everyone. If you’ve been waiting for eBay’s next sitewide coupon, the retailer today launched a 15 percent off code that lets you save on everything across eBay until 10:00 p.m. PT tonight. Of course, exclusions to “everything” include warranties and protection plans, coins and paper money, gift cards and coupons, and real estate. Otherwise, once you shop around on eBay and find a few eligible items worth $25 or more, you can check out and enter the promo code PRONTO15 to receive 15 percent off your order. Note that the coupon code will be capped at a maximum value of $100 and must be used within a single transaction, applying to the purchase price and excluding shipping, handling, and taxes. Note: MacRumors is an affiliate partner with these vendors. When you click a link and make a purchase, we may receive a small payment, which helps us keep the site running. eBay’s sitewide sales are a great opportunity to buy Apple devices, this time including an open box version of HomePod (White and Space Gray) sold by Best Buy in excellent condition for $284.85, down from $324.99. Other ideas include HomeKit items like Philips Hue and Nanoleaf Aurora, and much more in categories like computers, smart watches, video games, clothes, and appliances. 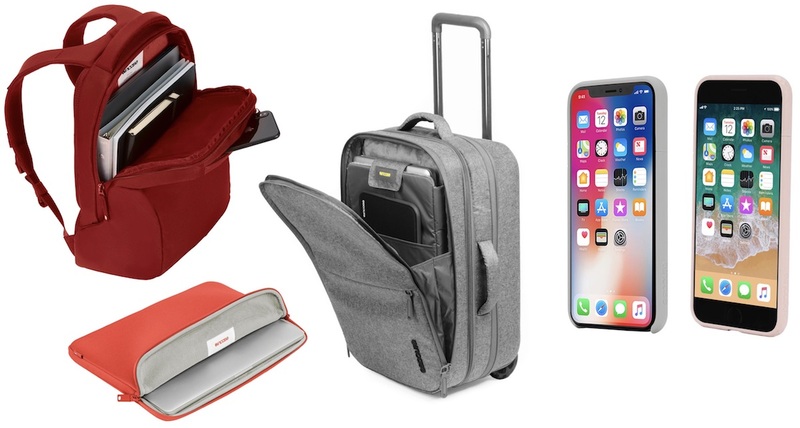 In another sitewide sale going on today and ending tomorrow, August 9, Incase is offering rare discounts on a wide variety of its Apple-compatible protective accessories. If you use the promo code BTS30 when checking out, you can save 30 percent on the company’s backpacks, MacBook sleeves, and more. There are unspecified exclusions to the sale, but we’ve highlighted a few options available for a discount in the list below to give you an idea of what’s been marked down. For more sales, be sure to head to our full Deals Roundup. We love pizza, and we love robots, so when the two come together it’s something to get really excited about. A branch of Pizza Hut in South Korea has introduced a robot waiter to serve your slice, in an effort to increase its use of food-related technology, lessen staff pressures, and of course to attract the geeky and inquisitive to come in and eat at the restaurant. The robot is called the Dilly Plate, and it has been created by South Korean food technology company Woowa Brothers, better known for its GrubHub-style local food delivery app called Baedal Minjok, which translates to Delivery Nation in English. Pizza Hut hasn’t agreed to employ the robot full time yet, and it has two weeks to prove itself. If you’re picturing C-3PO bringing your pizza though, you’re going to be disappointed. Dilly Plate is considerably less humanoid, and a lot more functional in its design. There are no arms or legs, only a motorized platform with a plate on the top that holds your pizza. Presumably, you will have to do the heavy pizza lifting when Dilly arrives at your table, due to its lack of limbs. Dilly will be able to stack pizzas for efficient delivery, as it can hold 22kg of food. Woowa Brothers founder and CEO Kim Bong-jin teased the introduction of Dilly Plate — which he called an autonomous serving robot — in an interview recently, and sees it as an experiment to help compare how people and robots can work together in a service environment. In particular, how robots can be used for deliveries and collections in apartment complexes and other enclosed spaces. Although Woowa Brothers is best known for its app, it has been investing in robotics since 2017 and has already shown off another food-service robot called Deli. Deli is designed to both deliver food and take back used plates from large eating centers such as mall food courts. The CEO went on to talk about how these robots could be adapted for use in the outside world, delivering goods and collecting recyclable waste on the return journey. The parallels between this and how the Dilly Plate will work in the controlled environment at Pizza Hut are clear. Pizza Hut is no stranger to robots in the workplace either, and had SoftBank’s Pepper robot working in a branch in Singapore, where it took orders and made recommendations. The unnamed Pizza Hut store is located in southwest Seoul. Drone-delivered meals come to Shanghai, but they’re dropped off by … a human? To solve a problem created by us having less cash in our pockets and relying increasingly on cards and mobile payment systems, entrepreneur Alex McCallion has created Greater Change — a smartphone-driven platform where a QR code is scanned to donate money to homeless people. Initially launched on a local crowdfunding platform in late 2017, Greater Change is a fascinating project that uses modern mobile payment technology for good. The way it works is simple. As a donator you have the Greater Change app on your phone, which then uses the camera to scan a QR code, where the donation is then made. The difference is the app also provides information on what the money is going toward, because the person you give the money to will be registered with local charities and will already have worked out a plan for their future. The money is not handled directly, and it’s clear to the donator how the funds will be used, and what the targets are. For the homeless person, it’s a way to show they are committed to change, and it relieves the wariness of the public, who are unwilling to give money to professional beggars, or to feed addictions. The platform also works as a way to tell their story and humanize their situation. The QR code can be worn like an ID on a lanyard, placed on a sign, or on a card. Greater Change is also investigating contactless payments, and donations can also be made through the website. QR codes are a convenient, easy-to-use, and familiar way to enable this. We already use them for mobile boarding passes at the airport, and for many other mobile tickets. Additionally, they are used to exchange contacts in apps such as Snapchat, Line, and WeChat, along with other mobile payment systems including Walmart’s own payment app. We’ve even seen them used to find pets, and on tech-laden bags. In a BBC film on Greater Change, it’s shown that some people are not comfortable with the concept of treating homeless people the way scanned goods are treated at the grocery store; but for the homeless who are trying to change their lives, the scheme is seemingly welcomed. The Greater Change app is now being tested in the U.K. city of Oxford. Epson wants to help take old photos from a shoebox in the attic to a cloud-backed digital file — on Tuesday, August 7, Epson launched the FastFoto FF-680W scanner. Epson claims the FF-680W is the fastest scanner in the personal photo scanner category, while Wi-Fi allows for auto-backups and sharing using Dropbox and Google Drive. The Epson FastFoto FF-680W, the second-generation scanner in the FastFoto series alongside the FastFoto FF-640, can scan at up to one image a second while maintaining a 300 dpi quality, the company says. The scanner uses batch capabilities to further push performance, allowing users to stack up to 36 images to feed through the scanner. The scanner can fit panoramic images up to 36 inches as well as smaller images, postcards, instant film, and documents up to 8.5 inches wide. With built-in Wi-Fi, Epson added an Easy Auto-Upload tool, which allows the scanned images to connect to a selected cloud service, including Dropbox and Google Drive. USB connectivity is also available. For old photos with notes on the back, the scanner can scan both sides at once. The scanner also includes software with text recognition to make documents such as receipts and tax documents searchable. The program allows the scans to be edited, organized, and shared as PDFs, or Word or Excel files. That speed and connectivity put the Epson FastFoto at a higher price than slower models, however, though it still sells for $50 less than the original list price of the previous generation. The scanner retails for about $600 starting today through select retailers. If sending messages wasn’t already enough with Facebook Messenger, users can now challenge friends to multiplayer augmented reality games in video chat. With the new feature, currently rolling out, you can play with up to six people at a time from anywhere in the world. To access the feature, you have to make sure you update your Messenger app to the latest version. Once you open the app and tap on an existing conversation, tap the video icon in the upper right corner of the screen. Then, tap the star button and select one of the AR games you would like to play. The person or group you’re video chatting with will then receive a notification that the game is starting. For now, there are two games available to play called Don’t Smile and Asteroids Attack — both of which are pretty self-explanatory. With Don’t Smile, you get to test who can hold a serious face the longest. While playing Asteroids Attack, you can compete to see who can navigate their spaceship better. More games are being rolled out within the coming weeks and months. One of which is called Beach Bump, where players get to pass a beach ball back and forth, and another is a matching cat game called Kitten Kraze. The new feature is extremely similar to Snapchat’s Snappables — Lens-based games inside the Snapchat camera. Launched in April, users use facial expressions and other movements to control the game. For example, one game has players open their mouth and move around to catch falling eggs. Another is more interactive — allowing users to invite friends to a virtual dance party. Facebook originally announced its plans to update its messaging platform at F8 2018 with new features and improvements to its digital assistant — Facebook M. One of the updates includes new ways for businesses to interact with customers through augmented reality. When a customer chats with a business through Messenger, the business can prompt the customer to open their camera and see different filters and AR effects. For example, you can see how furniture looks in your home or also try on makeup looks before you purchase the products. It also keeps you from having to actually go into the store to check them out in person and might make you feel more confident about an online purchase. Language is always evolving, and the prime example of this in the digital age is surely the rise of emoji — the little cartoonish pictograms that adorn text messages, emails, even pictures these days. Every year brings a new wave of tiny, emotive drawings. Originating in Japan in the late ‘90s, emoji are now everywhere, a universal language that crosses devices, operating systems, and international borders. No matter what country you are from or language you speak, you can recognize the jubilance in the “Face with Tears of Joy,” or that the person sending you an eggplant emoji is hankering for some eggplant parmesan right now. Emoji can convey a wide range of sentiments, but what if you want something specific, something not available among the typical slate of emoji? It is possible to make your own emoji, albeit with some restrictions. Here’s how. If you use a messaging app like Discord or Slack — the former is popular with people playing multiplayer video games, while the latter is used by a lot of businesses for internal communications — then you may be happy to learn that adding your own emoji is a simple process. To add an emoji, you first need to actually create one. Messaging services will typically have restrictions — on Slack, which we’ll be using to demonstrate, emoji can be no larger than 64KB, and neither the height nor width can exceed 128 pixels. Open the image-editing software of your choice (for example, the free, web-based Pixlr). If you’re confident in your artistic skills, you could make an emoji using the tools provided in the program. For a traditional emoji look, start with a yellow circle using a shape tool. Note: Use a transparent background, so the emoji will show up seamlessly against any background. Then, add features like a mouth and eyes using tools like the pencil or shape tool. If you’re looking to make an emoji out of a currently existing image, the process is simple. First, find a picture you want to make into an emoji, such as a picture of Nic Cage in the movie Con Air. Open the image in your photo-editing software. Using the lasso tool, trace along the edge the future emoji. Once you’ve made a complete circuit, cut the selection (CTRL + X), then create a new image (and preferably make the background transparent, so the emoji will look good against any chat background). Paste the image into this new window. Make any remaining edits you might want, then save the image as a PNG (so as to preserve the transparent background). However you end up creating your emoji, once you’ve saved it, open up your messaging app (in this case Slack). Click the emoji button, then scroll down until you see the link labeled add custom emoji here. Click it, then upload your image file and give the emoji a name. … and select Server Settings. Next, click Emoji, then click the Upload Emoji button. Note: You’ll need permission within the server to upload emoji. If it’s a server you created, you’ll automatically have that, but if the server’s creator has placed restrictions on who can upload, you’ll have to talk to them. Uploading emoji to services like Slack or Discord is easy, but you might be wondering how to get your emoji into the company offered by major platforms like iOS and Android. As it turns out, the set of emoji that users find on just about every device (including such classics as “smiling face with sunglasses” and “zipper-mouth face”) is actually regulated by a group known as the Unicode Consortium. Unicode is a widely accepted standard for encoding text on electronic devices, ensuring that texts sent from a device will show up properly on the receiving end, no matter the make or model. The full requirements for making a proposal are available on the Consortium’s site. Are you rocking Android Pie on your Essential Phone? Other Android OEMs — pay attention to what Essential’s doing. This Monday saw Google release its final build of Android Pie for the Pixel and Pixel 2 lineup, and just minutes after this was announced, Essential came out of nowhere with an official Pie update for all Essential Phone owners. That sort of turnaround time is pretty much unheard of when it comes to third-party OEMs updating their hardware to new versions of Android, and as you might expect, a lot of us were quite excited by this news. Some of our AC forum members have been talking about this for a couple days, and looking through the threads, it would appear that most all PH-1 owners are rocking and rolling with Pie. My update size is 1047.2 MB. I’ll hold off until I get home. Amazing that we get it on release date. So impressive. I own a pixel 2 and essential. my essential phone had pie and on the pixel 2 it still hasn’t popped up yet. My nephew’s PH-1 on T-Mo is downloading the Android 9 Pie update now! How about you? 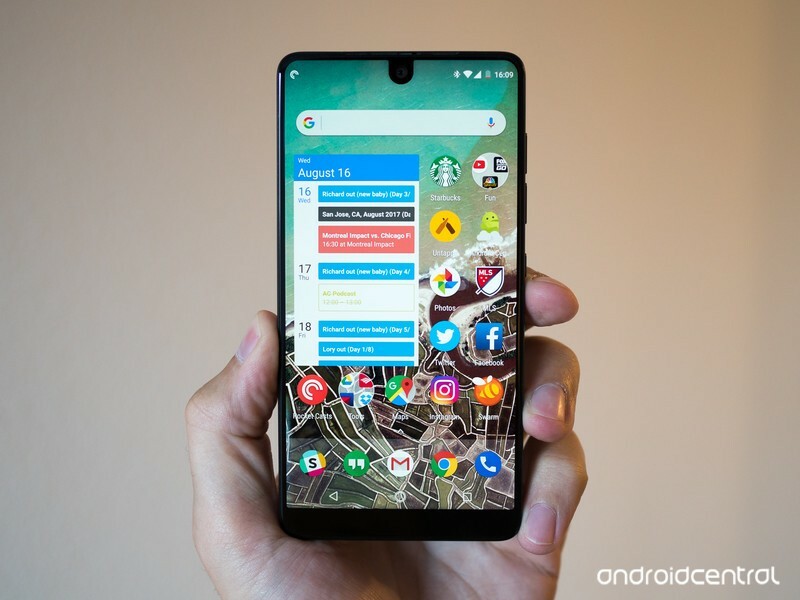 Did your Essential Phone get the Android Pie update? Everything you need to know about Android 9 Pie! Will my phone get Android Pie?